Today I’m joined by Alex Buono, cinematographer, director and Director of Photography for Saturday Night Live’s Film Unit. Alex shares stories from some of the most iconic and challenging SNL shorts as well as his brand new Visual Storytelling 2 tour. 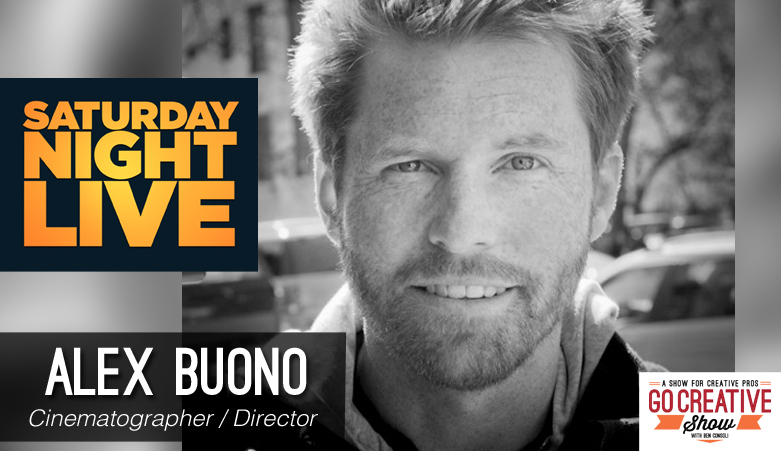 Alex Buono has been the director of photography for Saturday Night Live’s Film Unit for over 15 years shooting some of the most iconic comedic shorts in SNL history. The grueling schedule and super-fast turn around are weekly challenges for Alex and his team. But through these challenges come innovative solutions and the ability to produce hilarious content even in the most unusual situations. Over the years Alex has transitioned to shooting films, directing and sharing his wealth of knowledge through is Visual Storytelling tour. Now Alex is back with Visual Storytelling 2 and he has a lot more to share. 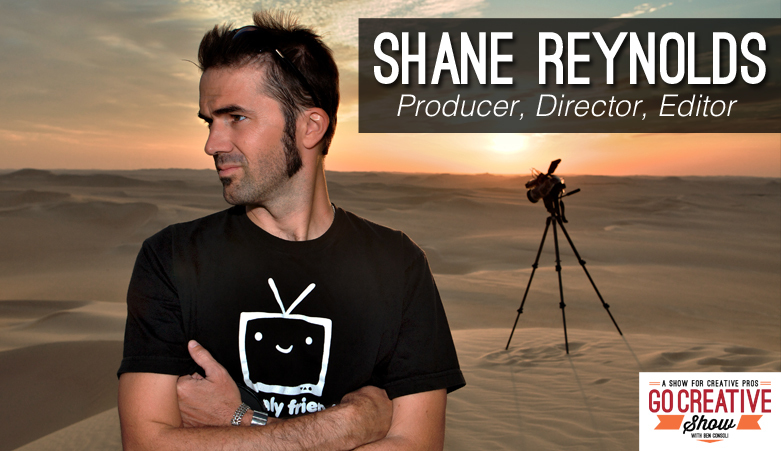 Today we speak with Shane Reynolds, AKA Shane-O the host and producer for a variety of travel programs on National Geographic, Discovery Channel, Travel Channel and more. With over 15 years experience, Shane has mastered the 1-man-band approach to video production and has done so while traveling the world. 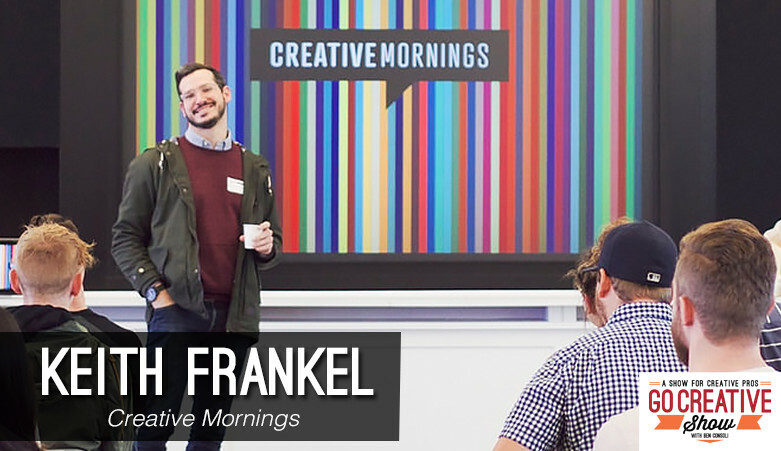 We discuss his camera package, mobile edit suite, managing budgets and more. The Go Creative Show is supported by Kessler (www.kesslercrane.com), Rule Boston Camera (www.rule.com), PremiumBeat.com. Shane Reynolds is an award winning producer, director and editor who’s production company, Color Earth, has produced documentaries, tv series and online programming that aired internationally on networks such as National Geographic, Discovery Channel, Travel Channel, BBC and more. With over 15 years of experience Shane has redefined the 1-man-band approach to video production and has shot all over the world. We discuss his camera package and editing platform, managing budgets and working with networks, producing for web vs television and of course stories from his experiences shooting in nearly every continent around the globe. 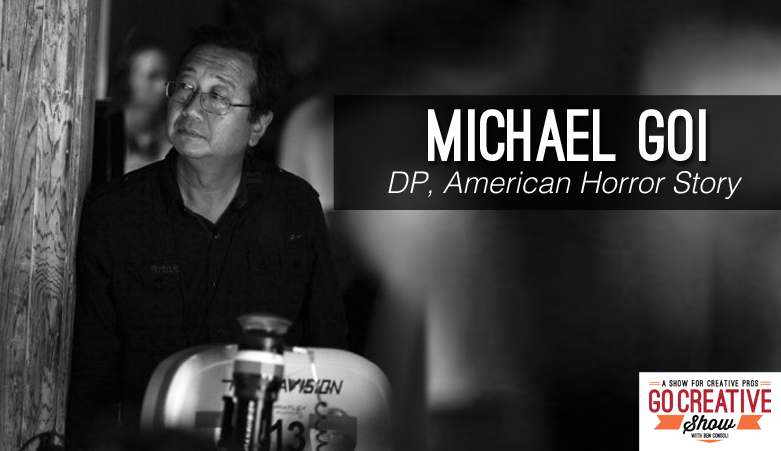 Today we speak with Michael Goi, ASC, Director of Photography for American Horror Story. Michael shares his experiences as a former ASC president, shooting Glee, The New Normal, Amerian Horror Story and directing his film Megan is Missing. 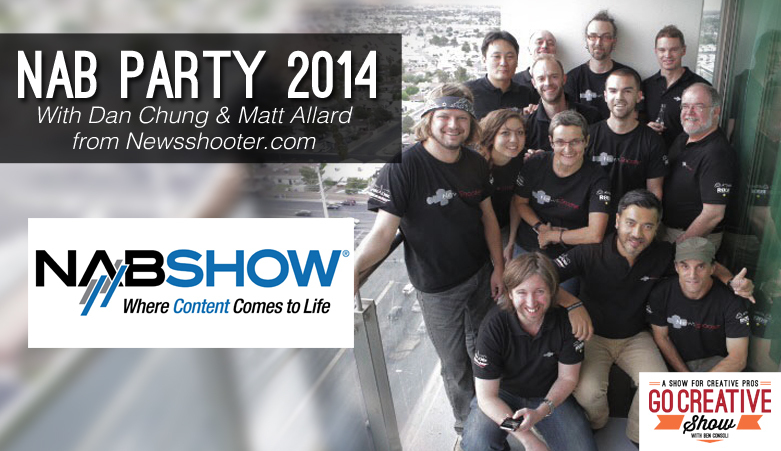 Plus Matt Allard from NewsShooter.com joins us to talk about the KiniMax 6K camera, the Panasonic 4K Varicam and more.